Fancy Mills has more than 20 years of experience specializing in consulting, training, and human resource development. 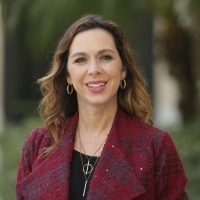 As the current Group Director of Training and Content for ICMI and HDI, her focus is working with support centers and contact centers across various industries to optimize their performance. As a former consultant and HDI business associate, she's certified thousands of service and support directors, managers, analysts, technicians, and corporate trainers around the world in virtual and classroom environments. In addition to training, she has developed and facilitated customized curriculum and consulted for Fortune 500 companies in the areas of process improvement, customer experience, quality management, workforce management, presentation, communication, and time management skills. Fancy received her MS in human resource development with a specialization in adult education from Texas A&M University; she's also served as a session and keynote speaker for various industry conferences and events, and contributed to Cultural Impact on Conflict Management in Higher Education.